Violist in the critically acclaimed Sweet Plantain Quartet. Currently performing on Broadway in King Kong. Appeared as a soloist with Manhattan Virtuosi, Harlem Symphony, and Antara Chamber Orchestra. Degrees from Rutgers University and SUNY Purchase College Conservatory of Music. 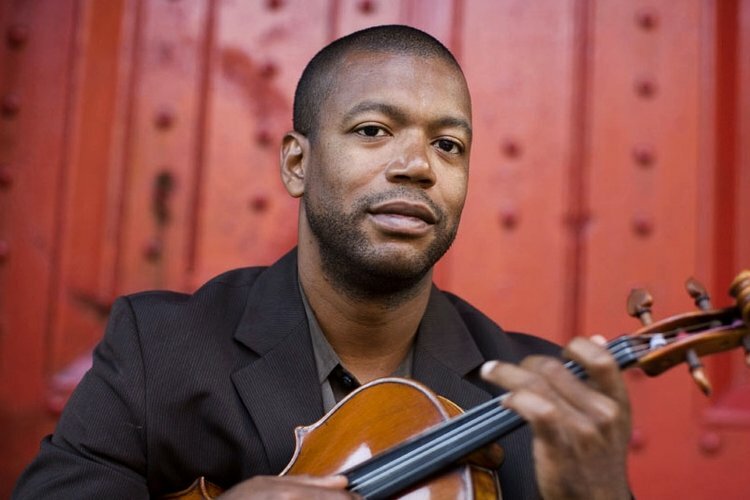 Orlando Wells is the violist of the critically acclaimed Sweet Plantain String Quartet and the previous Assistant Concertmaster of the Broadway revival of Porgy and Bess. Among the many ensembles he’s performed with are; the Northeastern Pennsylvania Philharmonic, St. Lukes Chamber Orchestra, Radio City Christmas Spectacular orchestra, Knickerbocker Chamber Orchestra, Ritz Chamber Players in Jacksonville, Florida. Also as the Concertmaster of the Bronx Opera, Orchestra of the Bronx, and Principal Viola of the Antara Chamber orchestra. Wells has appeared as soloist with Manhattan Virtuosi, the Harlem Symphony, and Antara Chamber Orchestra. Wells has performed and recorded with great artists such as Mariah Carey, John Legend, Rihanna, Harry Connick Jr., Dionne Warwick, Elvis Costello, and many others. He also performs with many of the top grossing shows on Broadway including; King Kong, Miss Saigon, Cry-Baby, Motown the Musical, Something Rotten!, Harry Connick Jr. Concert on Broadway, and SpongeBob Squarepants. Wells hold degrees from Mason Gross School of the Arts at Rutgers University and the SUNY Purchase College Conservatory of Music as a double major on violin and viola. His primary teachers were Yuval Waldman, Emmanuel Vardi, and Michael Tree.